Come and enjoy a really simple holiday in Burgundy! 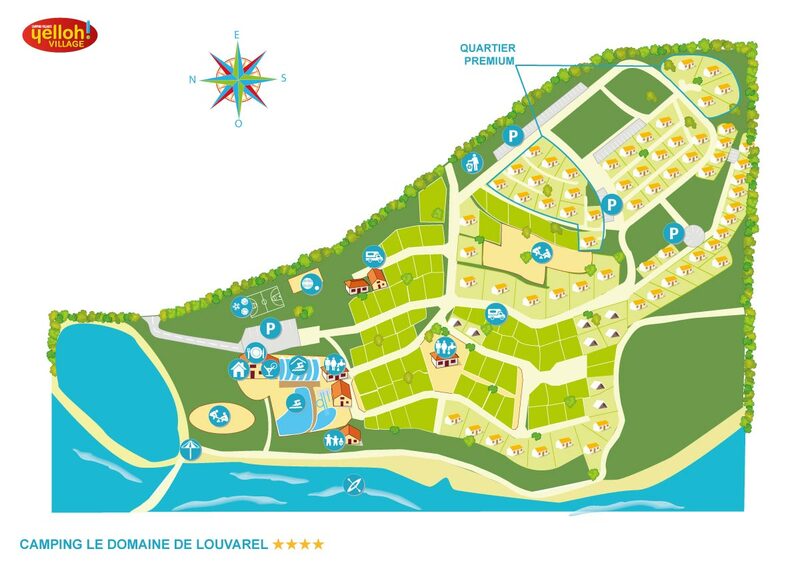 From the moment you arrive until the moment you leave, find out about everything the camping Le Domaine de Louvarel has in store for you to make your holidays even more practical and pleasant! Maybe you need some information, need to hire some equipment or maybe you need to find out more about the region? Then just come and ask our team at reception, and they'll do their very best to help you. For simplified holidays, have a look around the campsite grocer's, where you'll find all the basic household items you need, including bread! The Domaine de Louvarel's restaurant welcomes you in a pleasant setting, on the banks of a small lake, in the heart of the countryside of the Bresse area of Burgundy. Our menu includes simple fish, meat and poultry-based dishes, as well as a few regional specialties cooked with quality products by an inspired chef, served on the terrace or indoors. Our restaurant offers an ideal setting for lunch and dinner with your family or among friends. In the summer, our terrace is ideal for meals with children. While the parents finish their meal, the children can enjoy the games area, the bouncy castle and direct access to the beach and the swimming pond. Since 2014, our restaurant has an indoor dining room seating 80, and a landscaped terrace with over 500 plants. For your best ever holidays, place your trust in Yelloh! Village!